Scitech, which opened in 1988, marked the first International Science Center & Science Museum Day (ISCSMD) with an Alumni Event that highlighted how Scitech has been shaped by its staff and volunteers, and how those staff and volunteers have been shaped by Scitech. 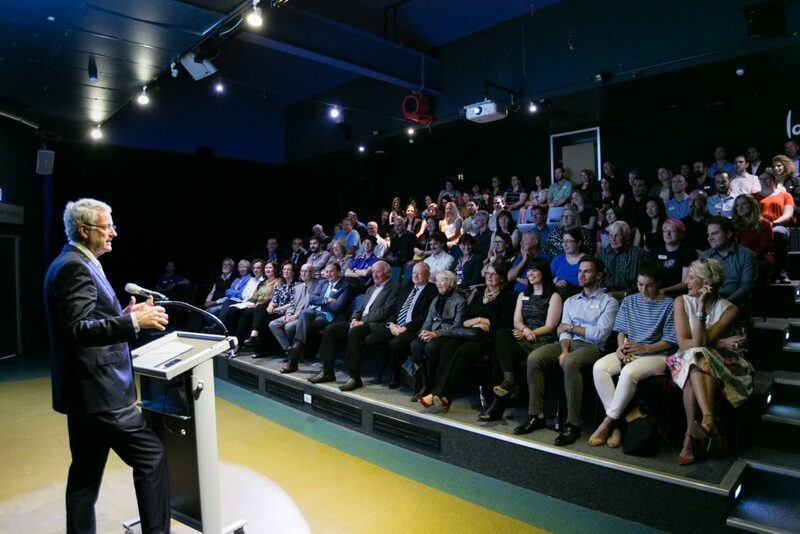 As well as Scitech alumni and current staff, special guests attended the event including the founder of Scitech, Mal Bryce AO, and current Scitech CEO Alan Brien. Speakers included Wesfarmers Chairman Michael Chaney, who played a big role in making Scitech a reality; Scitech Director of Science Programs Andrew Hannah, who has been with the organization since its early years; and Christine Wood, a previous staff member and current science teacher who expressed her continuing love for sharing the gift of science. Scitech also participated in NASA’s GLOBE Observer citizen science project for ISCSMD which aims to help international scientists answer questions about climate change, and built a large graphical display in the center’s foyer that highlights the local and international work its staff has undertaken to make science accessible to everyone.